After posting about my intentions of working on a run of 70s Topps flagship a few weeks ago, I got a few friendly folks getting in touch with me about helping out. 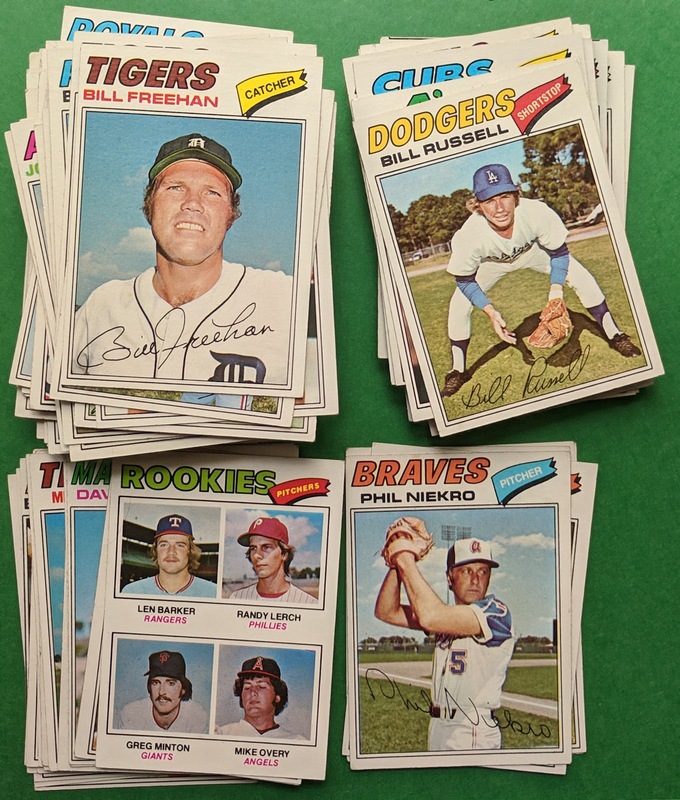 I recently completed a trade with generous reader Gmixo Greg, who helped make strides in my efforts with mid/late 70s Topps. 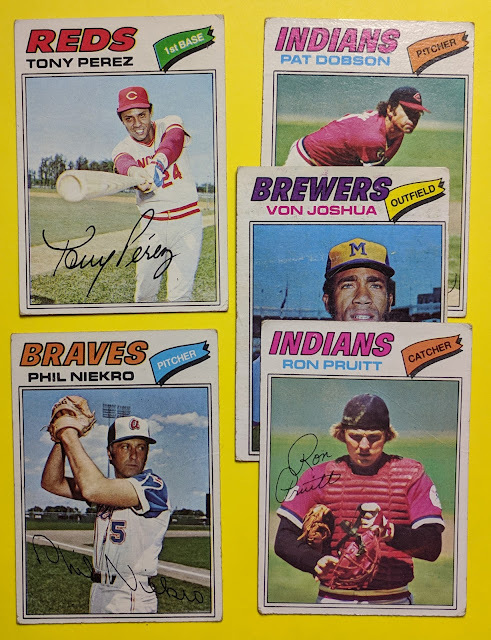 1975 Topps needs! Reggie sighting! 1976 Topps needs! What a great smile on that Griffey! 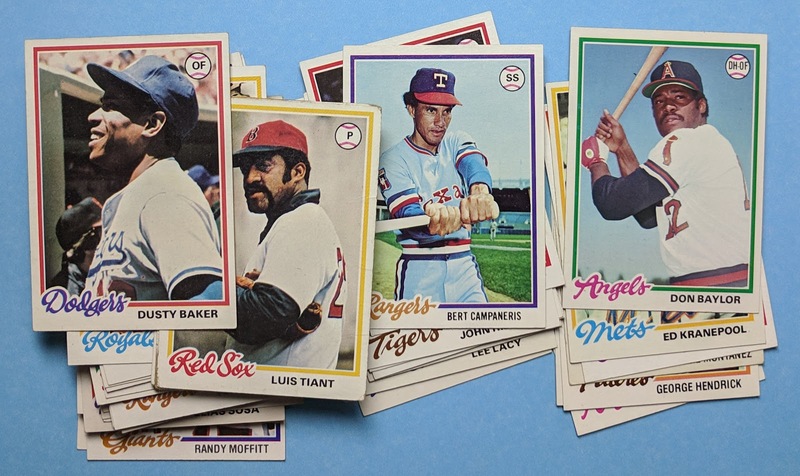 Nice starter lot of 1979 Topps! Probably about time for me to sort out what I've got and make a wantlist soon. Some bonus hockey PC guys, too! 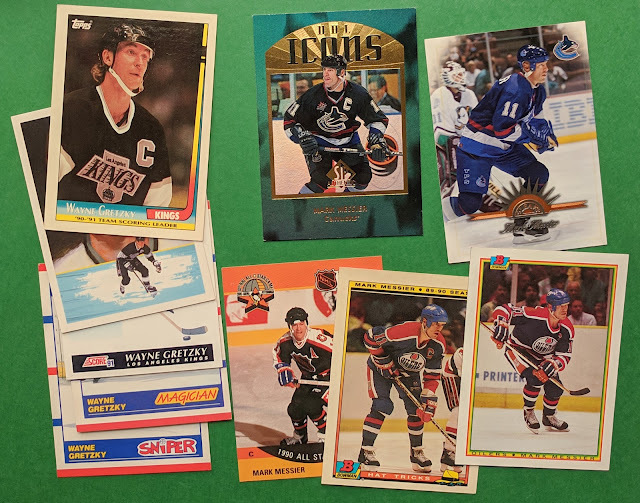 Gretzky and Messier. Big thanks for the trade, Greg! Much appreciated! 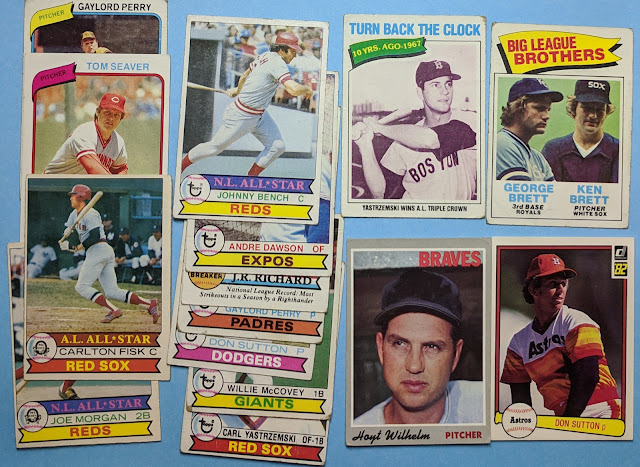 Last for today is my second Twitter trade with Heavy J. I found some set needs for him in exchange for a lot of '78s. 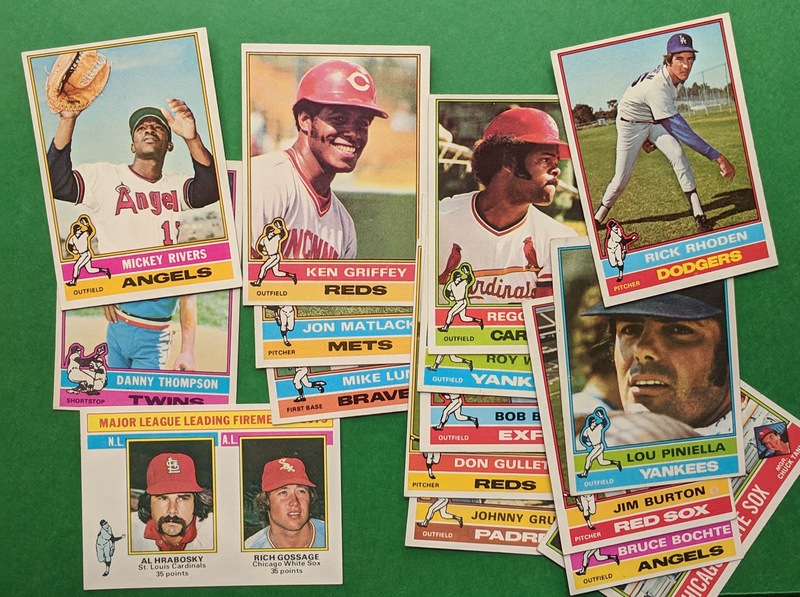 Solid bunch of cards here! Contest win! 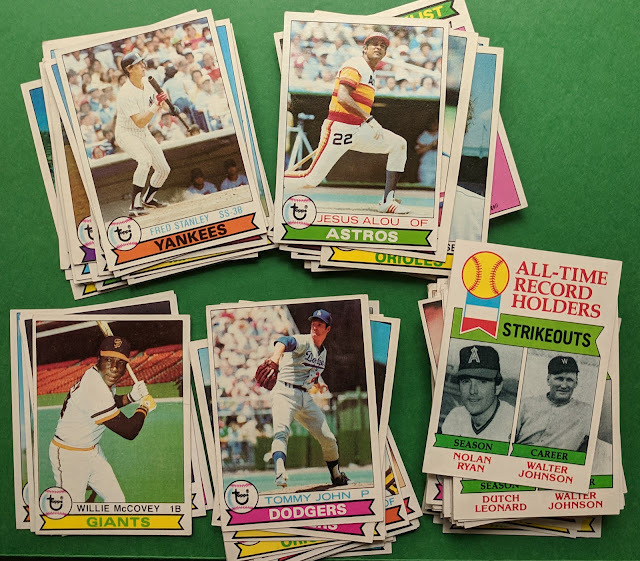 I also happened to win a little Twitter giveaway he ran around the same time, and the prize was several off-condition vintage star cards. Between PCs and setbuilds in the works, I'll be able to put the vast majority of these to good use. Some nice non-baseball cards too! That's my first Wonder Bread card. Heck, my first 90210 card, too. Warren Spahn! To seal the deal, he commissioned me to whip up a custom to go with one of his display pieces. 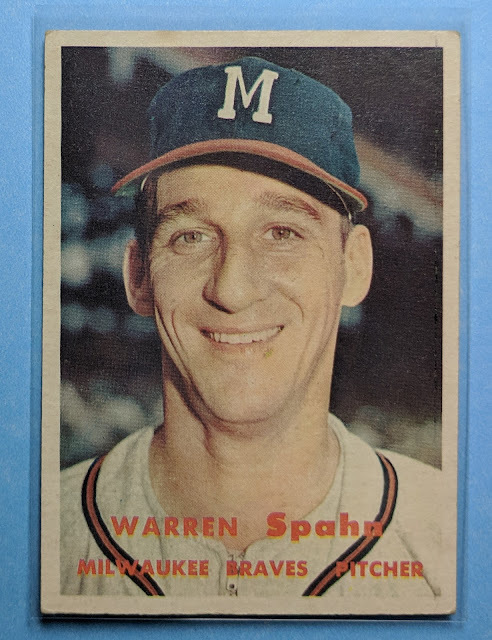 Great to check off another HOFer from my '57 Topps needs. 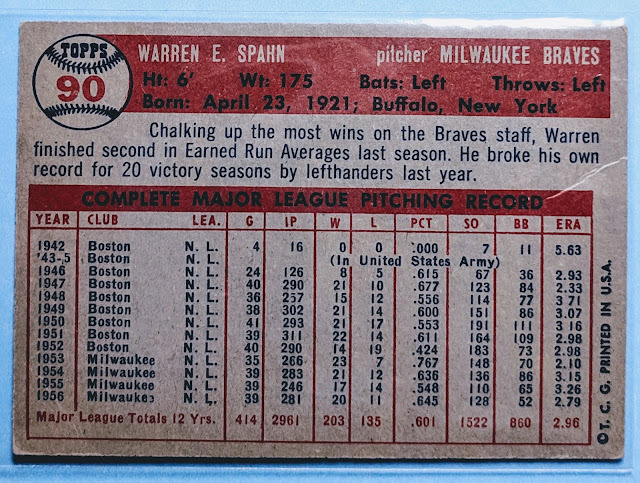 A minor crease, but overall in very nice shape. Big thanks, Jason! Great stuff. And thanks again to Greg and David. 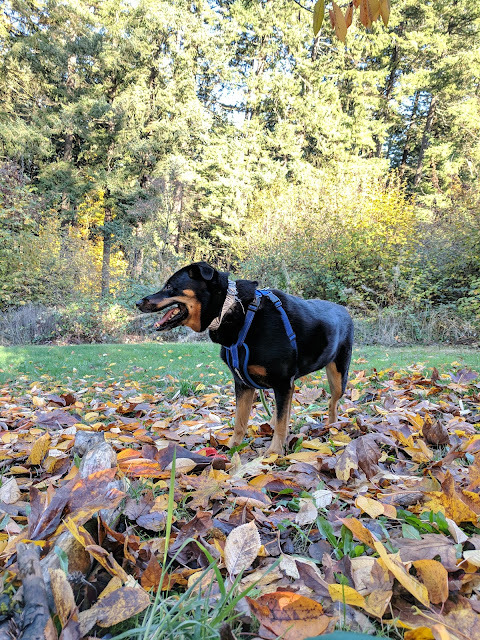 Played hooky today and got in a nice little hike with the pooch on a cold but sunny autumn day. Nice 57 Spahn! With traders like these you'll have that set run done in no time. I remember seeing 90210 cards quite often back in the show's heyday. 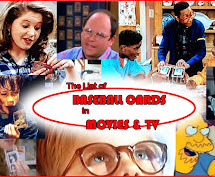 Jennie Garth was a fave of mine for a few years. Nice little throw-in there! 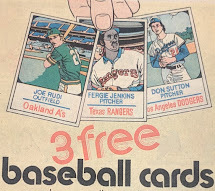 Ha, now that you mention it, seems like that would have been an obvious choice for '76 Topps. Your dog looks like one happy camper. Glad you got a chance to get some fresh air. I could really use a mental health day myself. P.S. Jennie Garth was a hottie back in the day. 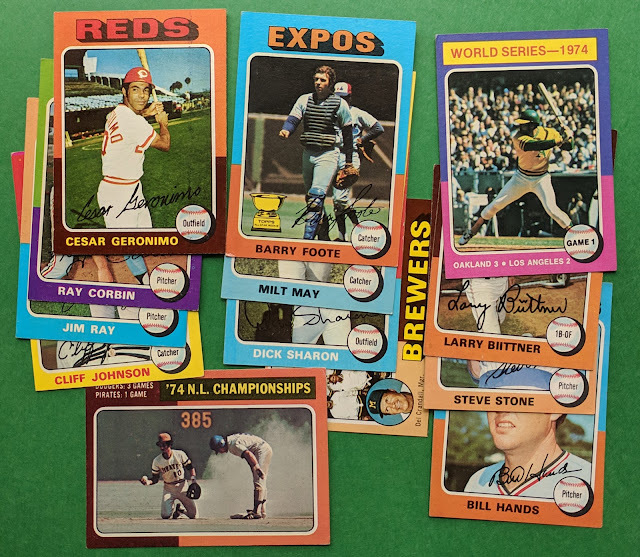 Are you interested in collecting 90210 cards? I might have some singles (maybe stickers) laying around. Yep, Annie had a fun day. Plus my wife is working from home Friday, so it's basically like a 4-day weekend for her. 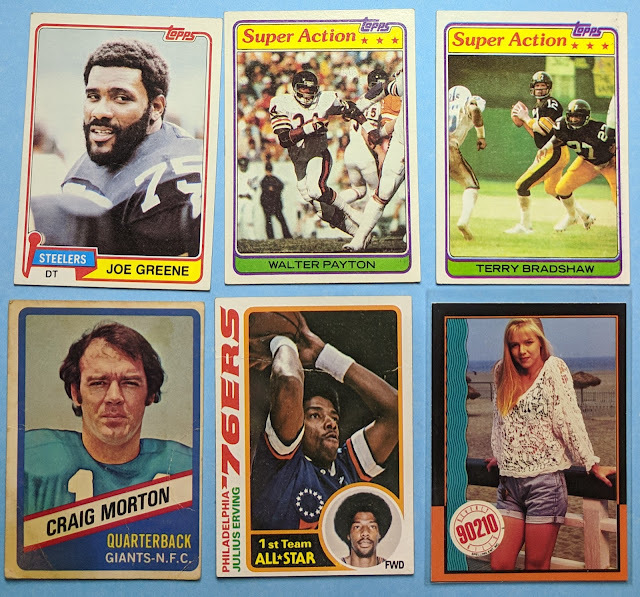 I'm always down to add attractive ladies on cardboard to my "Girlie Cards" minicollection, though not specifically going after a 90210 set or anything. Happy to help you out with those '70s sets, Gavin! Thanks for the customs, etc. in return. Looking forward to trading with you again!